It’s no secret that the financial market can be volatile, especially now with the rise of cryptocurrencies like Bitcoin. Since the U.S. markets are so unpredictable, leading 70% of investors to lose money in 2015 alone, more people are now seeking out other trustworthy, dependable ways to invest their hard-earned cash. Now, the focus is returning to making solid investments in ventures that will actually lead to returns, rather than testing out a trendy but precarious track, like crypto. Even if you are new to investing, one venture that will almost always be worth your time, energy, and money is buying gold coins. Nowadays, since we are all so used to trading through online stocks and bank accounts, real money has become rather obsolete. But investing in something that is both solid and reliable—like gold coins—has a number of advantages and may be the wisest strategy to bolster your bank account. Buying coins like 1 ounce gold American eagle or Canadian Gold Maple Leaf has always been a smart option for traditional investment plans. There are a number of undeniable advantages to buying gold coins, including the fact that it is a bulwark against inflation. Plus, gold tends to go up in value while other investments decline, which provides a stabilizing effect for your investment portfolio. Another advantage of buying gold or other hard metal coins as an investment is that you don’t have to pay any capital gains tax on the coins until you sell them. If you do not want anyone to know about your investment, buying coins is an entirely individualized process that you can keep to yourself. And while this concern is unlikely to happen, in the rare case that the U.S. markets would face massive currency devaluation, investors could use gold and silver to buy and sell. If buying gold coins is something that interests you, you will want to make sure that you purchase the coins from a reputable financial institution or dealer. Just as you would be aware of cheats when making other investments, you should always be on the lookout for coin scams. If you decide to purchase the coins from an individual or someone you may not exactly trust, you should have the coins’ authenticity verified before you actually buy them. This way, you can avoid handing over large sums of money for gold-plated copper or lead. It is important to know that U.S. gold coins come in one-tenth, one-quarter, one-half, and one-ounce denominations. Most dealers will make you pay a premium over the price per ounce, which is how they make a profit off of the transaction. 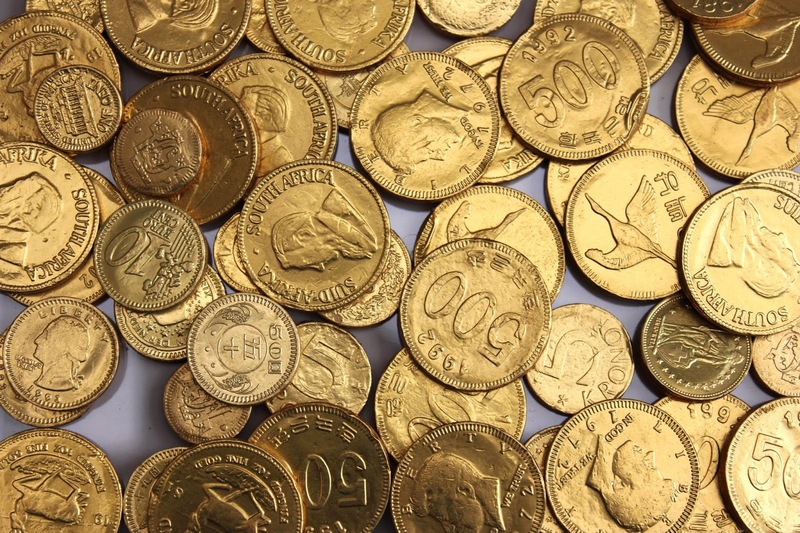 If you buy gold coins that are less than one ounce each, you will pay a much higher premium. It is generally a safe bet to buy bullion coins, including the American Gold Eagle, Canadian Gold Maple Leaf or South African Krugerrand. 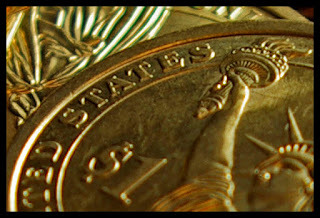 Unless you have researched and are knowledgeable about collector’s coins, you should stick to buying bullion coins. As a rule of thumb, you don’t want to get carried away with buying gold coins—instead, designate 5 to 15% of your investment portfolio to showcase hard assets, like coins. That way, a majority of your portfolio will still be in stocks, growth funds, and other investments, which is the best way to generate a healthy balance of both return and risk. Without having to worry about the volatile financial market, people can invest in hard assets like gold coins and reap the many benefits of gold’s hedge against inflation in order to augment an individual investment portfolio.